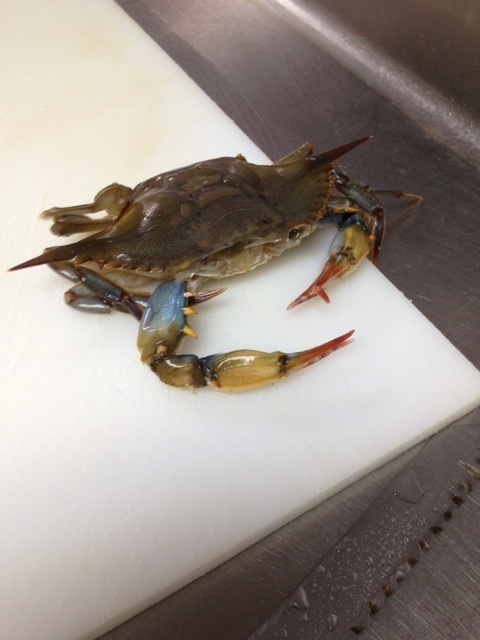 One of the best specialty seafoods from the Atlantic coast of the USA is soft shelled crab. The image can often scare people, a whole crab on your plate – claws and all. 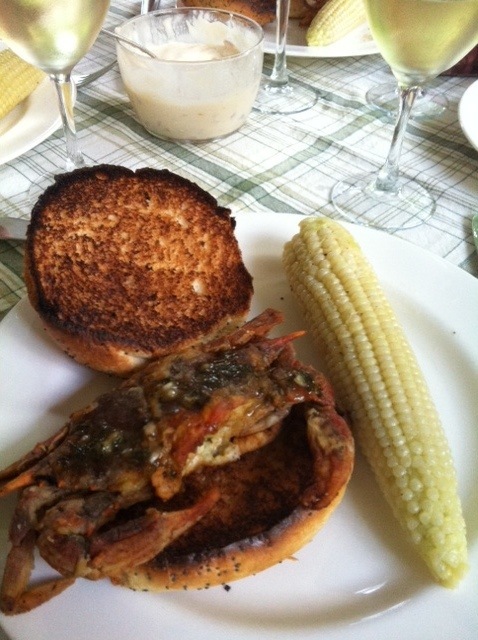 In the USA you often find sushi or sandwiches with this crab deep-fried. It’s just a delicious dish if you can get over the unique visual. 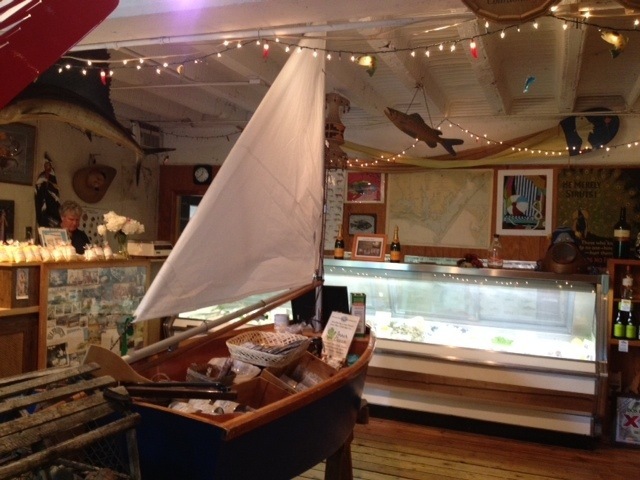 My mom and I went to Sea Products in Winston-Salem, NC to buy some for dinner and were lucky enough to get a lesson from owner George Steblow on how these crabs come about. Know this, you’re likely to never find one of these in the wild. These crabs are harvested about two weeks before shedding their shells, and as the time come closer they are separated into tanks until finally crabs due to shed in a day are together. They have to be monitored and removed from the tank immediately after shedding. First of all, they have to be removed because the water will cause them to star forming a new shell (harden) within an hour. Secondly, the crabs will eat each other if they are together. This is how the crabs are harvested. When you buy them, unless they are frozen, make sure they move. They should be alive when you purchase them. 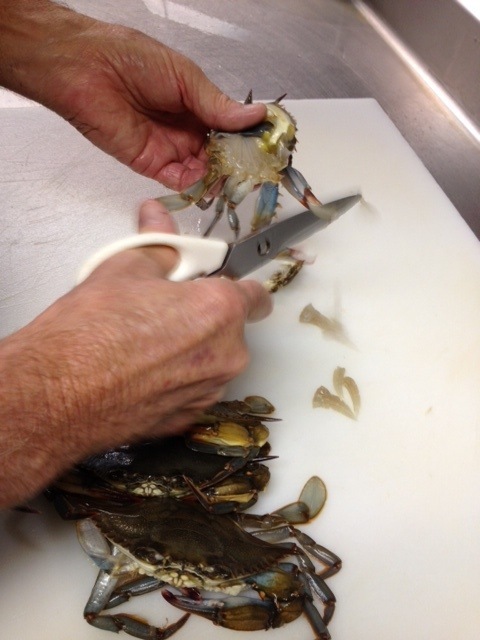 To clean them for cooking, cut off the front (face), then cut the gills out by lifting the sides of the ‘shell’ and clipping the greenish colored flesh that is lying below. Finally, cut off the tail. To cook, simply dip in milk and then cover with flour. Be sure to shake off the excess before placing into about 2″ of heated oil. Turn after the flour has become a golden brown and cook the other side. 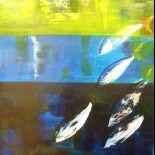 Remove and place on paper towel, lightly salting while hot. *Depending on the size of the crab, you may want to continue cooking in the oven until the meat is flakey. There are a myriad of other methods I imagine, but this is the one I know. 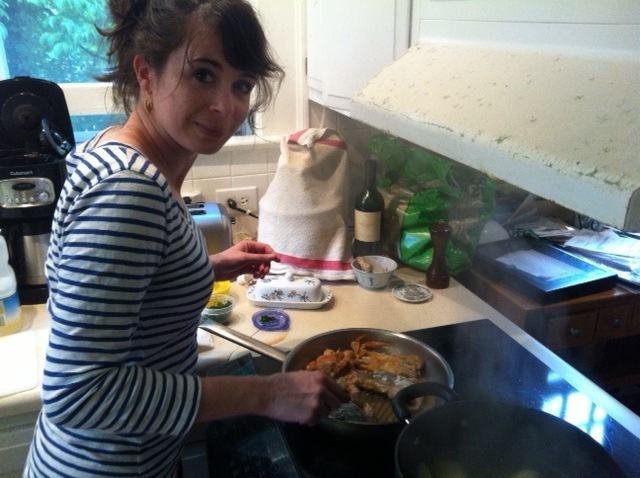 If you have a great recipe let me know, I love learning new techniques! Here’s one from Food&Wine by Andrew Zimmern. 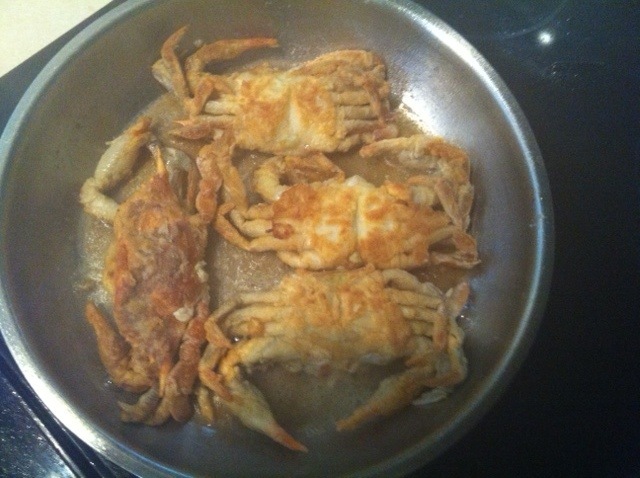 Thank you to George Steblow at Sea Products for teaching me about these crabs, and to my father for the cooking lesson! If you try this before me, let me know how it goes! I *SO* wish we could buy those…. I’ve only had them a few times in restaurants but I’d love to cook with them! 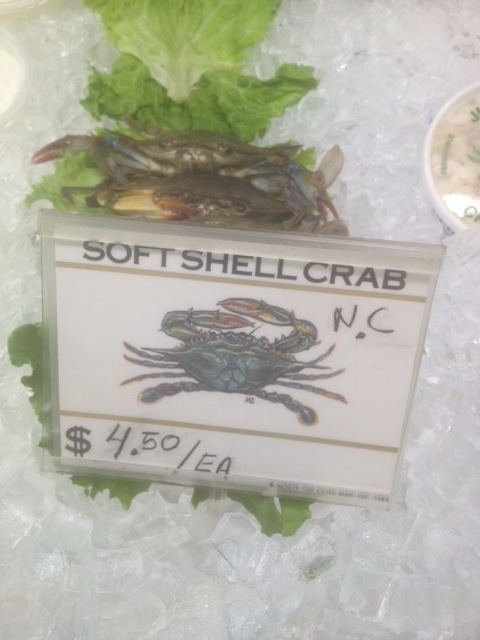 This entry was posted on 16/05/2012 by RuedOdessa in Cuisine, Markets, North Carolina, Winston-Salem and tagged crab, George Steblow, sea products, Soft shell.